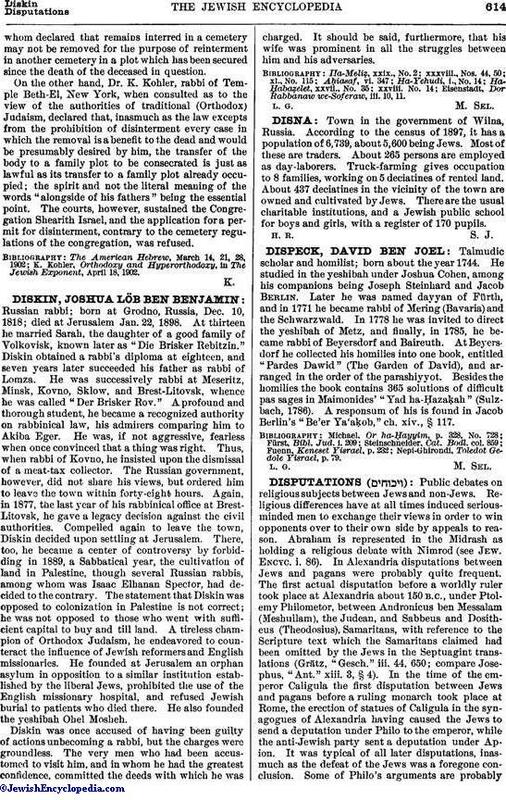 Talmudic scholar and homilist; born about the year 1744. He studied in the yeshibah under Joshua Cohen, among his companions being Joseph Steinhard and Jacob Berlin. Later he was named dayyan of Fürth, and in 1771 he became rabbi of Mering (Bavaria) and the Schwarzwald. In 1778 he was invited to direct the yeshibah of Metz, and finally, in 1785, he became rabbi of Beyersdorf and Baireuth. At Beyersdorf he collected his homilies into one book, entitled "Pardes Dawid" (The Garden of David), and arranged in the order of the parashiyyot. Besides the homilies the book contains 365 solutions of difficult pas sages in Maimonides' "Yad ha-Ḥazaḳah" (Sulzbach, 1786). A responsum of his is found in Jacob Berlin's "Be'er Ya'aḳob," ch. xiv., § 117.